సినిమా హిట్టైన ఆ హీరోయిన్ కు అవకాశాలు రావడం లేదు ! As expected, the Modi wave has hit the country as BJP won major seats in the 2014 Lok Sabha elections. Without any body’s support the Modi cabinet can now form their government in India. 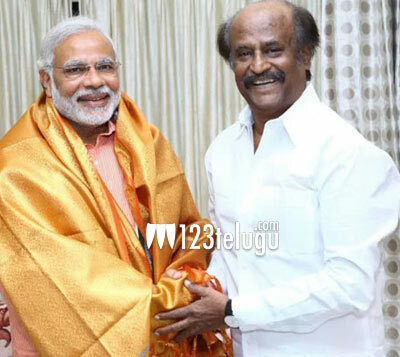 Wishes have been pouring in from all quarters for Modi, and super star Rajnikanth took time off and congratulated Modi on his emphatic win. Rajni took to twitter and wished Modi on his success.